What if Marilyn Monroe was a robot? 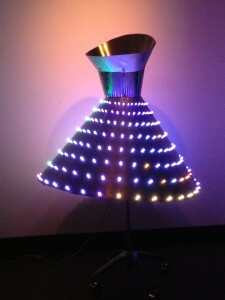 This project explores how to simulate the animations of a dress with an RGB array with addressable nodes. The metalwork was created in collaboration with Morgan Hammer and Greg Larson. It was exhibited at the Oscillate 2013 show at the Vermillion Art Gallery and Bar, as mentioned in the Seattle Times and announced by Dorkbot here. 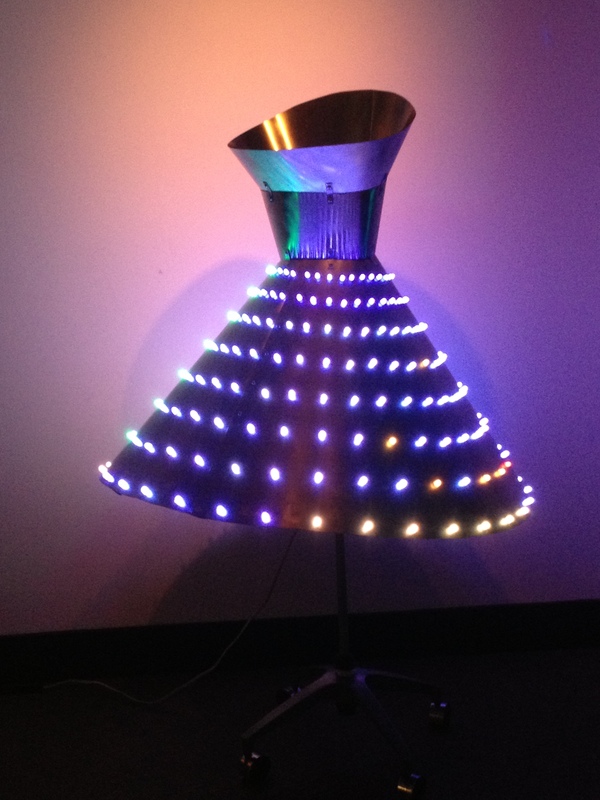 The dress had three animation modes: 1) oscillating sine ways simulating the fluttering of a dress over a subway stop, 2) twirling dress, and 3) hoola hoop dress. You can find a brief video of the light animation here on Youtube. 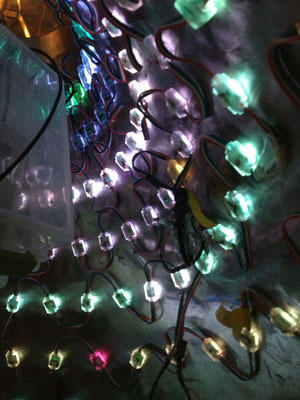 For the geeks, below is a peek under her dress…showing the RGB array.